There is no longer a “Run tests in current context” or “Debug tests in current context“. There is just a “Run Tests” and “Debug Tests” but they work exactly the same way as the old commands. If you right click within the body of a single test and select “Run Tests” it will run just that test now (as opposed to running all the tests in the class which was the behavior in the RC). 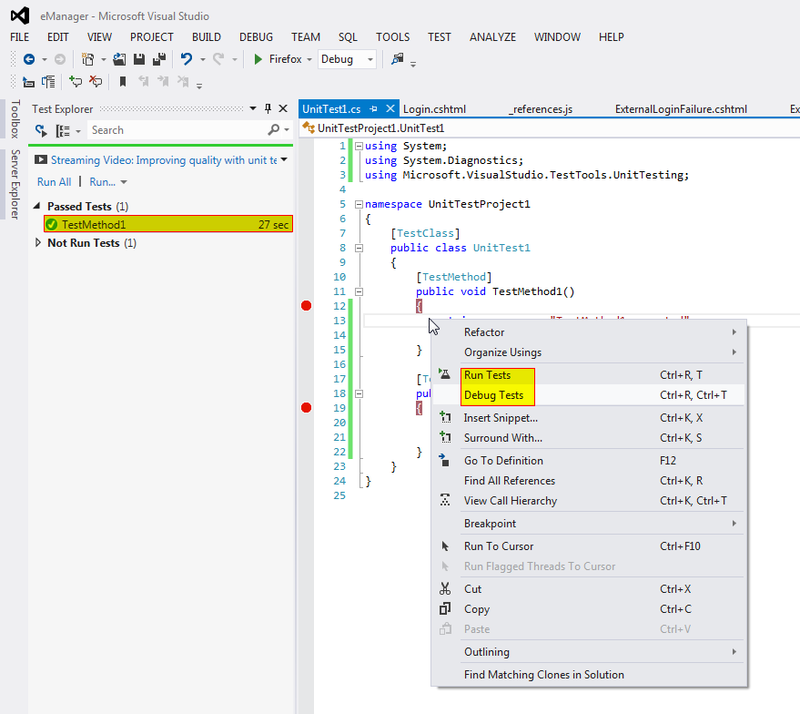 If you click outside the method body but within the test class and select “Run Tests” it will run all the tests in that test class.